Laguna Beach Unified School District was awarded four grants totaling $18,000 from the Festival of Arts (FOA) Foundation to enhance fine arts programs at Laguna Beach High School and Thurston Middle School. The Laguna Beach High School art, drama, and ceramics programs each received $5,000. At Thurston Middle School, the drama program received $2,000 and the multimedia program received $1,000. The Laguna Beach FOA Foundation was incorporated in 1989 to preserve and promote the fine arts and all other artistic endeavors in and about Laguna Beach. The foundation operates independently from the Festival of Arts. 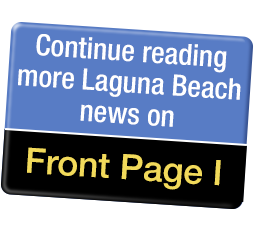 To date, the Festival of Arts, along with the Foundation, has cumulatively awarded nearly $2.6 million in grants to the art community in Laguna Beach. Teachers have used the grants to provide students with real-world experiences and opportunities, including after-school open level master classes for the dance program and exhibit opportunities for the arts and ceramics programs at local galleries. “Thanks to continued support from the Festival of Arts Foundation, we’ve been able to provide our Laguna Beach High School drama students with unique and meaningful opportunities both on stage and in the classroom,” said Laguna Beach High School and Thurston Middle School Drama Teacher and Director Alexis Karol. “This year, we’re excited to partner with the FOA Foundation at Thurston Middle School as well, as we focus on aligning our middle school drama coursework with the high school’s CTE Pathway in drama. Through the generosity of organizations like the Festival of Arts, we can provide quality production values and innovative curriculum designed to prepare our students for college, career, and beyond,” she concluded. The FOA Foundation has been a longtime supporter of the visual and performing arts in the LBUSD and will be recognized at a future school board meeting. For more information about the Festival of Arts Foundation, including its grants and scholarships, visit www.foapom.com/about/grants-scholarships/. Shaena Stabler is the Owner, Publisher & Editor. Dianne Russell is our Associate Editor & Writer. Michael Sterling is our Webmaster & Designer. Alexis Amaradio, Barbara Diamond, Dennis McTighe, Diane Armitage, Laura Buckle, Lynette Brasfield, Marrie Stone, Maggi Henrikson, Samantha Washer, and Suzie Harrison are our writers and/or columnists. Mary Hurlbut and Scott Brashier are our photographers. Stacia Stabler is our Instagram Manager & Writer. We all love Laguna and we love what we do. Email: Editor@StuNewsLaguna.com with news releases, letters, etc. © 2019 Stu News Laguna - All Rights Reserved.